Integrated and optimized solutions for each application. We are a company with over 60 years of history and since 2008 we have offered Global Climate Solutions to the market. We have the most demanding certifications from ISO9001 to EUROVENT. To be a reference partner in the provision of equipment and services in the area of air conditioning, ensuring the satisfaction of our customers and exceeding their expectations. To be a company of choice, through a strong commitment to excellence in services, human resources training and partnership with partners, customers and suppliers. Achieve results and find solutions with responsibility, determination and professionalism, ensuring continuous improvement of the processes developed. 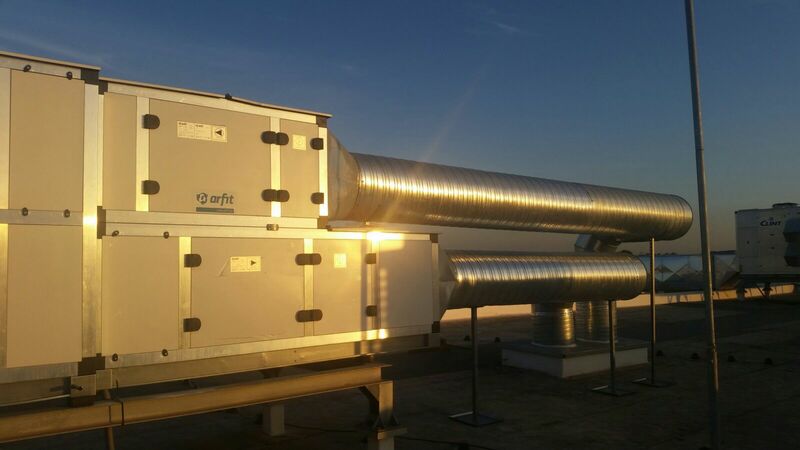 In the international market, we commercialise the ARFIT range of Ventilation and Energy Recovery products, produced at our plant on the Maia Industrial Estate, Porto area.